Making dentures takes approximately three weeks. The dentist first gets the exact impression of your teeth, and only after that they set the dentures. The dentist creates models and wax forms, and tries them on you before making the final dentures. Adjustments are made as necessary.A denture is mostly made of ceramic and polymers. Acrylic materials are also used to make dentures. One specific material is not used. 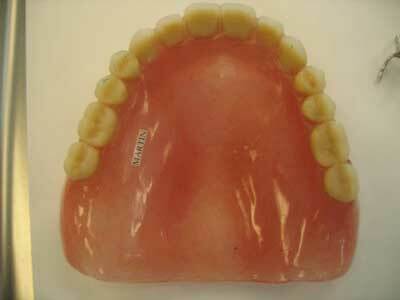 In fact, a denture composition is made up of many different materials. When a dentist makes the dentures, they try to choose materials that resemble the natural teeth mostly. The gums have to look pink, and the teeth can range from pale to stark white. Depending on the need, the composition of the dentures is often altered. The denture support can be made from acrylic, stainless steel, chromium or cobalt. For the gums, a pink colored acrylic is used. The acrylics do a good job of holding the teeth in a fixed place, and the teeth, which are made of ceramic or porcelain, cannot slip out. Basically acrylic can gel well with slippery materials like porcelain and ceramic. If dentures are completely made out of metal, then it can increase the rigidity in the mouth and also eventually hurt while functioning. It is not a very desirable or adjustable material for dentures. That is why metal components are used only for supporting the framework of the dentures. Also, several other factors like long lasting, non smelling and rugged materials are chosen for making dentures. 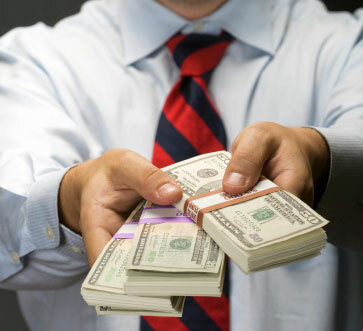 The cost of dentures varies widely from a few hundreds of dollars to thousands. It all depends on the size of the dentures, and the type of dentures. The design of the dentures is the main factor for determining the cost. Several people, who are old, and have lost several teeth, always choose dentures because it is a wiser and also cost effective choice at their age. More..